I often have a deep lonely feeling in the pit of my stomach. It happens the most at dusk, but it can hit at any time. The loss of my husband is such a painful road. I am trying to carve out a new life for myself, but I keep wanting to scream and dig my hills in NO. I just need him back. At night I pray for peace and a sign that all is OK. I was going to a new store on 90th south and did get off on that exit. I couldn’t find the store, I didn’t us my GPS. 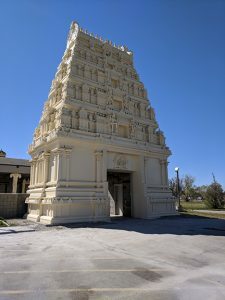 As I then turned around and went down a little road standing in front of me was the Hindu temple what a surprise, especially since I live in Utah. As I drove down the road to get a closer look at the beautiful structure right next to it was the India cultural center. My husband was from India and his ancestors were Hindu before they became Catholic. What are the chances? I couldn’t believe it; I was on a completely different road and how I did get there I really don’t know. PS I was on 104 west and should have been on 90th! It has been almost five months since my sweetheart transcended, and it seems that some days are harder than ever. The hollow feeling I have when I realize I am in this alone – and the sadness. I recently bought new kitchen appliances. The others were over 18 years old and my dishwasher had hit the dust. The old appliances were originally bought for the house. Unexpectedly emotional as I replaced the old appliances. Suddenly that night I felt that my husband was being stripped from me piece by piece. Instead of being excited to have them, I cried. What a strange reaction – but the pain I felt over that was overwhelming. Little things like going to the grocery store have been really hard. I am starting to be OK with it but seeing the items I bought for him just reminded me he was gone. Some night I honestly feel he is in bed next to me. 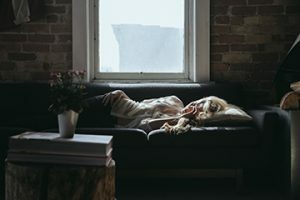 That small sliver in-between being awake and asleep I feel movement, and it is like my husband is by my side. I also thought he was in the bathroom and started talking to him while being in bed. Yesterday I was sitting on his lift chair and dosed off – I thought he came across the room via the front door. Maybe he is there comforting me, and I am so thankful for that. My daughter had a dream where my husband walked around the corner healthy and happy. She walked over to him and gave him a big hug. He embraced me whispering something in my ear. My crazy sister was there, and he started teasing her about her boyfriends. As my mom sat in the background (as you know, she has passed). Was this my mom ushering him, so he could pass on a message to me? I am still unbalanced and spacey sometime sitting there on the couch or kitchen chair just staring into space and lost. This can last long periods of time – I keep telling myself to get up and do…, but I still sit there in silence. The devastation I felt at the funeral cannot be overstated. This hit below the belt, and I felt I was minimized. My family and daughter were there (of course), and this is what my daughter posted in social media that day. Love is standing by someone even when it isn’t easy. It’s loving them even when it’s difficult. Love is constant and requires sacrifice and loyalty. Love stays through health and sickness. It remains when it’s inconvenient. Love is soiled laundry, doctors’ visits and spoon feedings. Love looks like tendons being torn from catching your loved one; watching them decline and choosing to lift them with courage instead of giving into fear; letting go of a career to care for them. Love is watching your loved ones last breaths, holding their face and telling them “it’s okay, I’m here and I love you.” Comforting them until the end, only collapsing in grief once they had gone. Mom, you have shown me what love looks like throughout your marriage and most strongly these last 5 years. Only those that have not seen it would not acknowledge it. I’m sorry you have to go on without your sweetheart. Please know that he loves you so much and we love you too. We will be right here to help you through it. Thank you Amber you are such an amazing daughter, an amazing mother, and an amazing person.